Developers Red Barrels are back with the follow-up title to the original Outlast, which was one of the scariest games in recent times. 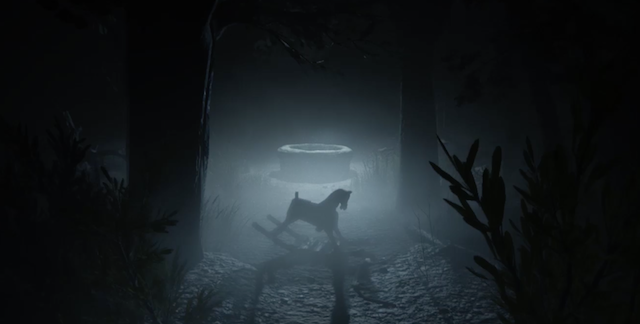 The game had cliché horror moments like jump scares, dark corridors, and high-speed chases from scary looking creatures. But on top of all that cliche nonsense, Red Barrels managed to hook the player with an engaging story. 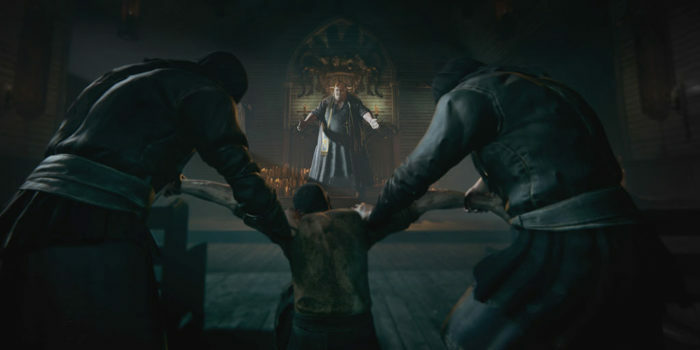 They manage to do this in Outlast 2 as well, however, it is 10x better than the original thanks to excellent world building and lore. Outlast 2 takes place in the middle of nowhere in Arizona. You play as Blake Langermann, a cameraman for your wife Lynn. You two are investigating a very brutal murder when your helicopter crashes. After surviving the crash, you come to learn that your wife has been taken by a very strange group of people. This is where the story kicks off, and this will be the last details of the story I recap as I feel a story like this should be experienced from knowing as little as possible. The horror genre will need to be something you’re comfortable with if you wish to see Outlast 2 to the end. I’m a massive horror junkie and it only took to about a half hour before I started to feel this sense of dred while playing the game. Turning the corner, opening a window, or unlocking a door always had my adrenaline on high alert. Jump scares come in good spurts and is not overly used which is great because jump scares are cheap scares that prove that your film/game is not as scary as it should be. 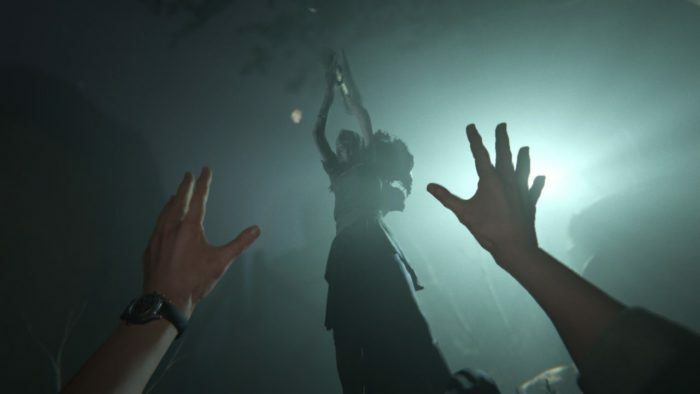 The scariest moments of Outlast 2 is when you’re alone in a cornfield under the bright light of the moon shining down; not knowing if someone is watching you, the feeling of eyes on the back of your neck, and Outlast 2 captures this precious feeling over and over again throughout the entire game. Going in blind to the world just as Blake does, manages to capture the sense of surprise, horror, and suspense much better. As I stated before, Red Barrels manage to really emphasize on the story thanks to great worldbuilding. The towns you’ll come across are dated, houses are crippled and have seen their day. Running around, looking for bandages (health), documents (collectibles) and batteries (night vision for the camera) are gameplay mechanics that are very familiar with the original title that made its way over to the sequel. For the first few hours its fun, being conservative of both your camera and your bandages is suspenseful, but after a couple of hours of running in the dark trying to conserve your battery, just to die at the end of the road just isn’t as fun. This is where the game starts taking a downhill turn. As scary as the game can be – and it can be pretty darn scary – it starts to lose the horror element due to the games trial and error gameplay. When a big enemy is hunting you and it’s a one shot kill, you’re on your toes, hearts racing and your too scared to make your character move. However, once you do make a move and inevitably die, that sense of horror leaves your body. The thing you were once petrified of is now not so scary, but rather really frustrating. And I would love to say this only happens a couple times, however, I sadly cannot. The game relies way too much on this implemented trial and error mechanic. After the 5th-6th try, your going to get fed up with the game and will want to walk away from it for a little bit. Outlast 2 manages to instill the fear, but can’t seem to maintain it. They are some very cool set pieces like the hallucination flashbacks to Blake in Elementary School, however, the after a couple of the tedious set pieces, the game starts to get a little repetitive. Repetitive gameplay only works in some games, horror games, in particular, cannot and should not use this hack. Just like the original title, the game drags to the point that you start to lose interest and instead start getting frustrated with the game entirely. Wondering to yourself “why I am playing this horror game in a trial and error fashion?” and ” is this game going to pay off at the end?” Well, that depends on each player. Despite the repetitive gameplay, familiar set pieces, and dragged story, Outlast 2 manages to be a huge upgrade to the original. The world that Red Barrels built is phenomenally scary, graphics and lighting are impeccable, but this could easily go to waste if the game serves too difficult to the player. If you are a horror fan or liked the original Outlast, then Outlast 2 is definitely for you. It’s scary, tense, suspenseful, and filled with high adrenaline set pieces; however, if you feel that repetitive back and forth objectives, one-shot kills, and a trial and error mechanic are not for you, I would advise you skip Outlast 2 and maybe watch the game on YouTube as the game is still super scary to watch.